Comprehensive, up-to-date, and richly illustrated with some 200 color photographs, The New Encyclopedia of Snakes is the best single-volume reference on snakes. A thorough revision of the highly successful Encyclopedia of Snakes, Chris Mattison's new book is the only one of its kind to deal in detail with snakes from around the world. 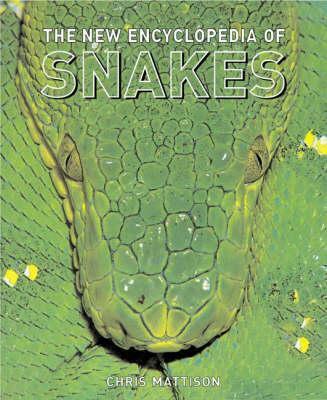 Addressing the natural history of snakes and their relationship with each other and with other groups of animals, the book incorporates new information on snake biology and classification and includes a complete list of every family and genus, with notes on each. Throughout, photographs show the fascinating variety of snake coloration and camouflage, and illustrate and clarify the many topics covered. Organized thematically, the book addresses the origin and evolution of snakes; their morphology and function; how and where they live; their methods of feeding, defense, and reproduction; their taxonomy and classification; and their interaction with humans. Illustrations note 200 color plates. Chris Mattison is an internationally recognized herpetologist and photographer based in the United Kingdom. His many books include "Snake, Snakes of the World", and "Keeping and Breeding Snakes".